Fractured Cusps – When a crack occurs in the raised section of the tooth called the cusp, the tooth often breaks off on its own, or it will have to be removed. Once the tooth is extracted, a dental crown is used to cap and protect the tooth. Cracked Teeth – These cracks typically run vertically from the top of the tooth’s crown on down. 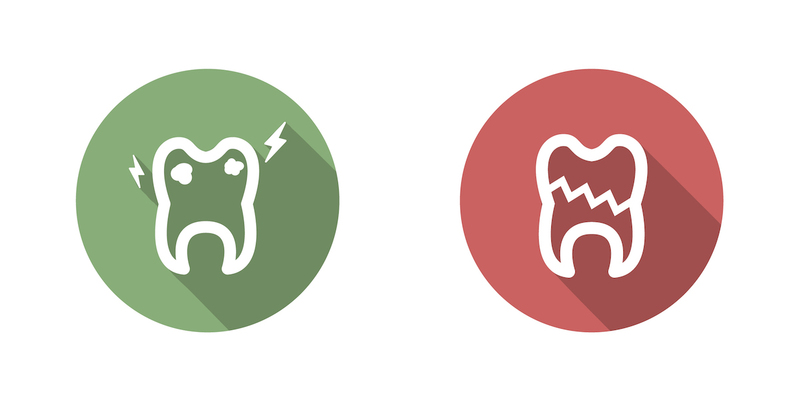 The best treatment is a root canal, followed by a dental crown. Be aware that a very deep crack may demand that the tooth is extracted. Split Teeth – If you fail to treat a cracked tooth, the crack can delve deep beyond the root and make the tooth split. While a root canal can sometimes save the tooth, it may need to be extracted if the damage is severe. Keep in mind that only a dentist can determine the ideal treatment for you, which is why you need to visit a dentist at the first sign of a problem. To get the dental care you deserve from an affordable dentist in Atlanta, call today at or make an appointment. Dental One Associates offers affordable family dentistry and gentle, compassionate dental care in Atlanta. With 8 affiliated practices throughout Georgia, our offices are conveniently located with extended hours to meet your needs. At , we provide most dental services, from basic preventative care and general dentistry to specialized procedures and complete dental reconstruction. We accept most dental insurance plans and offer affordable financial solutions for any budget. Patient satisfaction is our top priority and we strive to provide the exceptional, affordable dental care and personal touch that lead to lasting relationships. A smiling patient is our greatest reward and we look forward to keeping those smiles healthy, beautiful, and bright. Discover an affordable dentist who truly cares at .